Any weight management program whether you are aware of it or not, will need to trigger the basic hormones that greatly affect our metabolism. This data can be found in scattered bits and pieces and sometimes the relationships are not explained too clearly. I will try to offer a brief but clear explanation of the hormones involved in weight loss as well as weight gain. 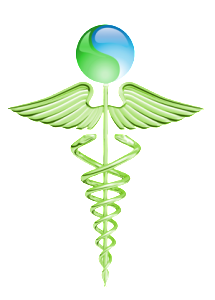 One of the primary hormones that affect weight management is insulin. Insulin is a blood sugar regulator. High carbohydrate intake leads to higher blood sugar levels. This leads to an increase of insulin output by the body. Insulin production is the body’s natural response to excessively high sugar levels in the blood. If that sugar is not getting converted into energy fast enough to maintain safe levels in the blood, insulin will resort to an alternate to that conversion to energy. This results in the conversion of that blood sugar into fat that will be stored by the body. The term lipogenic refers to that quality of being fat producing. In addition to insulin being lipogenic, it also bears another quality that means bad news to weight loss programs. Insulin is also antilipolytic. 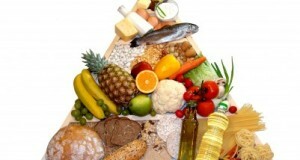 This simply means that it naturally works to fight against the breakdown of fat. As you now see, a diet that stimulates high insulin output will certainly be encouraging natural body responses that are counter productive to your goal of losing weight. When the body is stressed due to a variety of reasons, insulin production also increases in order to stimulate the production of cortisol, our stress hormone. The body then responds to high cortisol by lowering the levels of the hormone dehydroepiandrosterone (DHEA). This hormone is very influential in the production of muscle. Producing more muscle than fat is our ultimate goal. Chronic stress stimulates fat cells into storing fat. Fat cells located in the abdominal wall, characteristically possess more cortisol receptors on their cell membranes. So in turn, stress will encourage these cells to retain more fat. Leptin is produced by adipose tissue and leptin binds to nucleus cells of the hypothalamus, a region of the brain known as the “satiety center.” Binding of leptin to this nucleus tells the brain that the body has had enough to eat thus providing the sensation of satiety. In a small number of humans, homozygous mutations for the leptin gene are present that stimulate a constant demand for food. This typically leads to severe obesity. Unfortunately this condition often compounds itself. As the body produces greater and greater quantities of leptin to fulfill the requirements of the process it can also cause higher tolerances and reduced efficiency. Although complete manipulation of this hormone has yet to be accomplished, there have been some short term benefits experienced by the administration of recombinant human leptin by way of injection. The hormone serotonin, a neurotransmitter in the brain made from the amino acids found in proteins. Like leptin, it also sends messages that body is satisfied and that we have eaten sufficient to meet our body’s needs. Low serotonin levels cause depression, obesity, lethargy, and a greater desire for refined carbohydrates. Low levels of serotonin leads to overeating because the brain believes the body is starving. A diet that restricts protein-rich calories can be one reason for low serotonin levels. Some people that produce very high levels of cortisol also tend to experience lower serotonin levels. Another glandular condition known as hypothyroidism may affect as high as 30 percent of the population. Low thyroid reduces our fat burning rate and causes fatigue, inhibiting energy levels. Your thyroid is small gland at the base of your neck that controls energy flow. A shortage of thyroid hormones makes you sluggish at every level. Slowed digestion causes constipation, sluggish metabolism leads to weight gain and elevated cholesterol levels. The brain also needs thyroid hormones to stimulate the production of hormones like serotonin that we talked about earlier. Hypothyroidism can lead to depression and lethargy and weight gain. Often forgotten in the discussion of weight loss and hormones, testosterone and estrogens may be forgotten. These are typically male, female hormones. The production of these hormones tends to fall off with age. The male hormone, testosterone stimulates high energy and associated fat burning benefits. On the other hand the female hormone estrogens actually encourage the storage of fat. A decrease in estrogens levels therefore would seem beneficial in your weight loss program. Unfortunately a number of conditions call for the addition of estrogens to ease women through the menopause process. Although beneficial in that affect, it will be counter-productive to weight loss or weight control efforts. 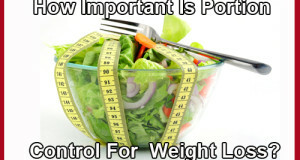 As you can see, a number of hormones play a part in weight control. Some of these hormones interact with each other. Some hormones can be manipulated with drugs or by careful meal planning. Others hormones such as leptin are subject to manipulation. The ultimate solution is a careful selection of food groups and meal planning. Previous: What Is The Definition Of Sexual Health?